Grammarly makes communication clear and effective, wherever you write. At Grammarly, we believe that everyone should be heard & understood. We know that clear & effective communication improves peoples lives. We also know that we want to help everyone improve their communication. Thats why weve built an AI-powered communication assistantto help the worlds 2 billion English speakers feel heard. So far, weve created a product that reaches 15 million people every day. Join us to reach the next 100 million. Were looking for a collaborative Analytical Linguist who can be a part of our Natural Language Processing team based in New York City. The team is also open to strong candidates who may prefer to work out of our office in San Francisco. We use a combination of machine learning, deep learning, & pattern-based methods to drive our high-quality writing feedback. Linguists are essential to improving the quality of our checks, developing training & evaluation sets for our statistical approaches, & conducting user experiments. The team you will be partnering with is critical to moving forward Grammarlys data-based approaches. At Grammarly, our impact comes from a strong culture with highly engaged, highly motivated team members. We hire exceptional people & reward them with trust, mentorship, & the freedom to grow into their roles. Were a passionate, growing team on a mission to improve lives by improving communication. If youre up for the challenge, we would love to meet you! Work on mission-critical NLP research & product team tasks (e.g., designing annotation guidelines, annotating content, performing data quality control). Evolve & prioritize ongoing working processes associated with our data & annotation needs, (i.e., annotation guideline development, data development, etc.). Work with product teams to improve the feedback we provide to our users (e.g., problem-solve where to focus product improvement efforts, oversee portions of our annotation projects with external vendors). You have a bachelors, masters, or Ph.D. degree in linguistics. You have at least two years of industry experience as an Analytical Linguist. You are a team player who enjoys linguistic annotation, evaluation, & data quality work. You have experience with scripting languages (preferably Python) in a Linux environment. You have experience with research processes & qualitative & quantitative approaches. You have experience with crowdsourcing and/or vendor management. You are able to speak & write English fluently, with an excellent grasp of English grammar & communication. You are positive, organized, & detail-oriented. Big goals, exciting work, & fast learning cycles. Project exposure that impacts our users & product. Health care, 401K, communication coaching, & great coworkers! The diverse experiences, ideas, & identities of Grammarlys team members help us make better conclusions & drive great results for our users. We foster an inclusive work environment that welcomes team members of all backgrounds & perspectives. As an equal opportunity employer, we evaluate candidates based solely on talents, skills, & knowledge. 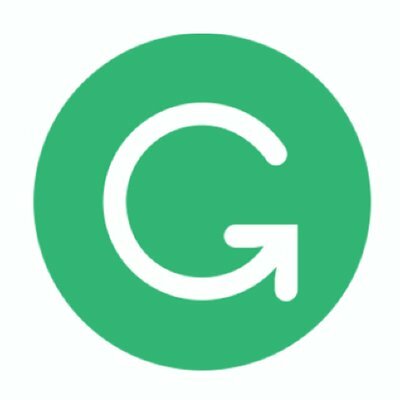 Grammarly participates in E-Verify.